The 162mm wire fan guards from GardTec protect the cabinet cooling fans from being damaged by foreign object as they keep important appliances and electronics from overheating. 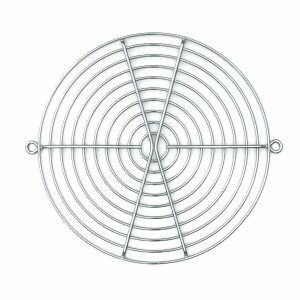 This steel wire fan guard is plated with stainless steel to keep the fan guard looking like new. The fan guard ring diameter measures 1.8mm and the rib diameter is 2.3mm. This fan guard is also available in different plating styles upon request. GardTec has a variety of dependable fan guards at low prices.